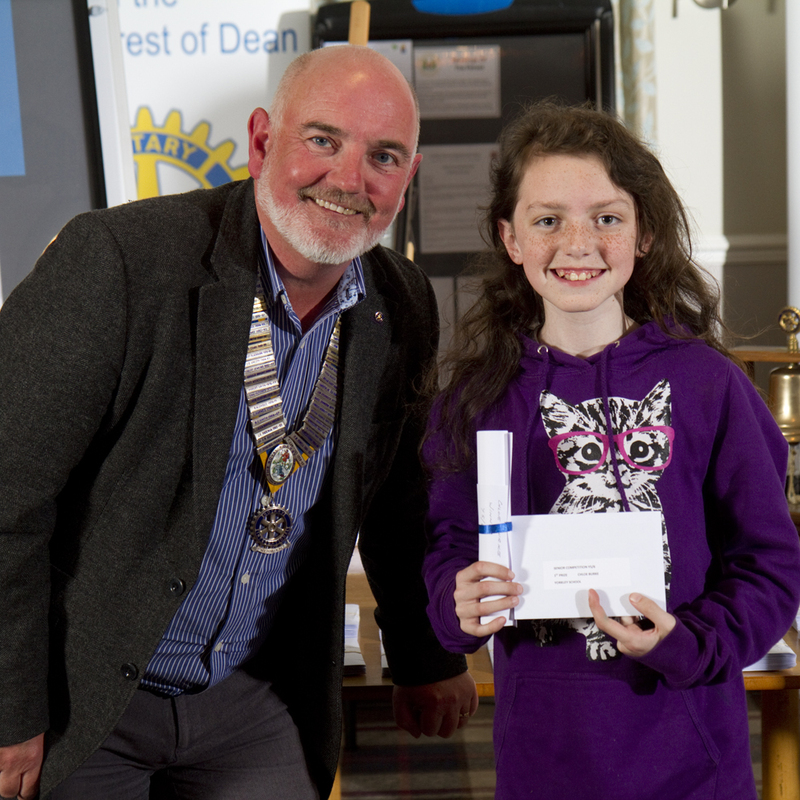 Now in its third year, the Rotary 'Hands On Art' competition presented its prizes on Friday evening, 29th March 2019, at Forest Hills Golf Club, Coleford. 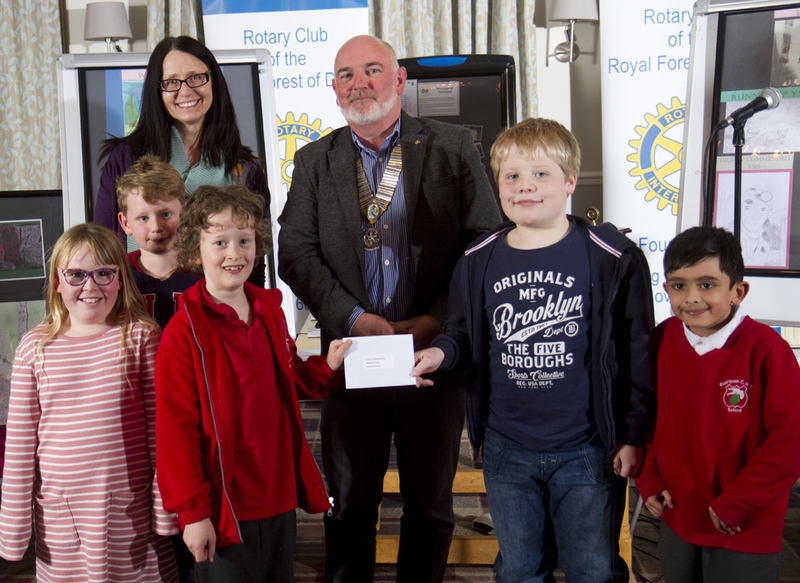 ALL Primary and Junior schools in the Forest area were invited to engage with the Rotary Club of the Royal Forest of Dean in this latest competition. There were two categories: a Junior competition for years Y3 & Y4, and a Senior competition for years Y5 & Y6. Each school was invited to submit up to eight entries for each category, with the option to enter both. The competition was hot. 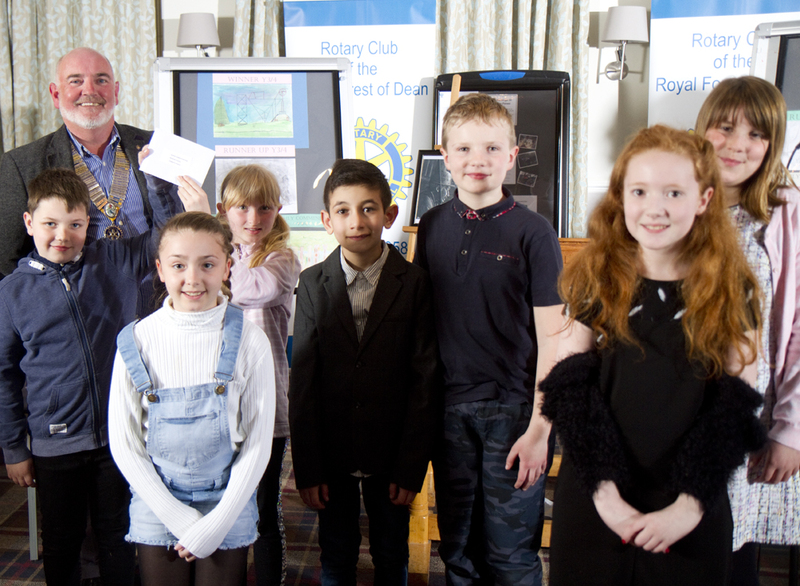 All submitted artists received £10 vouchers, but category winners won more significant prizes that were presented by Rotary President Ed Gaffney. The schools submitting artwork also received prizes for their participation. 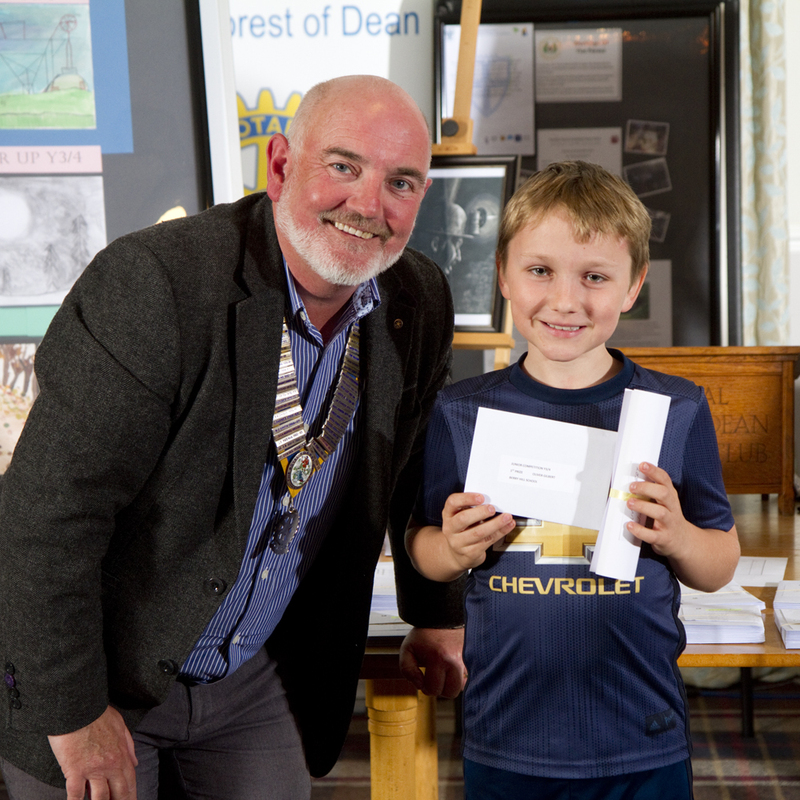 In the Junior category, first place went to Oliver Gilbert of Berry Hill School who received a £50 voucher. 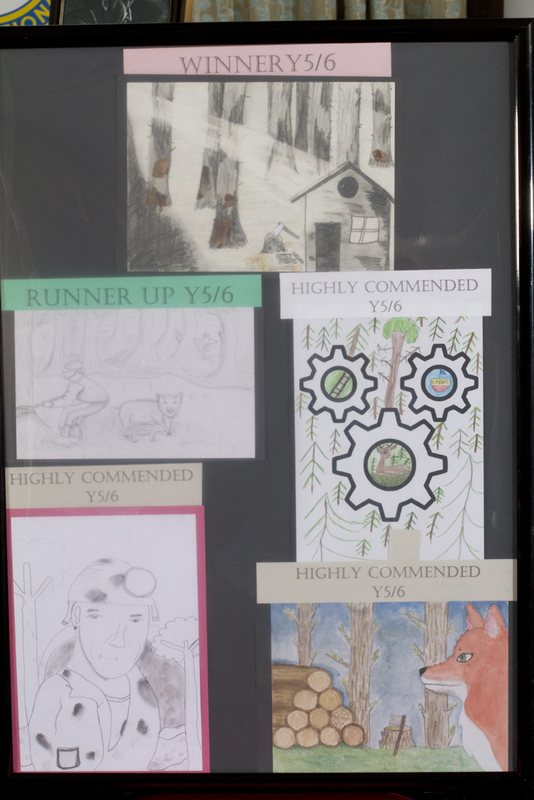 Runner-up was Faith Thomas of St. White's School; highly commended were Lola Davies of Lydbrook School and William Roberts of Lydbrook School. The overall winning school was Ruardean, and the runner-up school was Lydbrook. In the Senior category, first place was awarded to Chloe Burke of Yorkley School who also received a £50 voucher. 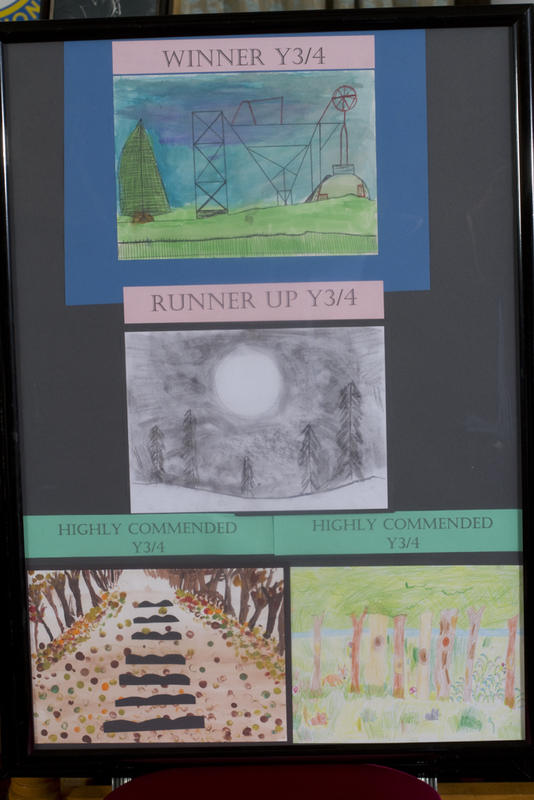 Runner-up was Bethan Hewitt of Primrose Hill School; highly commended were Eartha Tissington of Primrose Hill, Indi Corpjijn of Coalway School, and Connie Reeves of Lydney School. The overall winning school in this category was Lydbrook, and the runner-up school was Coalway. Special prizes were awarded to Jacob Jones of Woolaston School and Bree Harley of Blakeney School for producing interesting work that didn't comply with the competition rules. 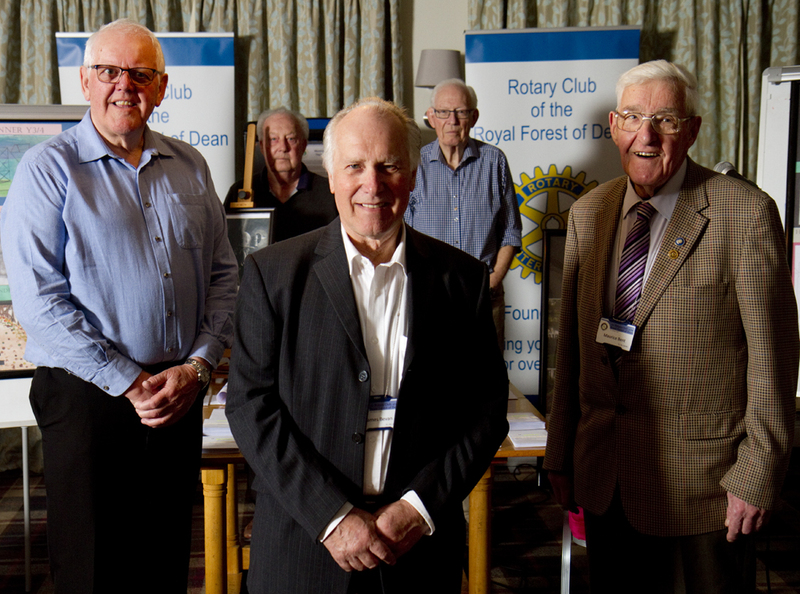 Organizing 'Hands On Art' has been a substantial undertaking for the Youth & Vocational committee of the Rotary Club of the Royal Forest of Dean, under chairman James Bevan. Huge thanks are due to Mike Bennett, Maurice Bent, Doc Lewis, and Chris Cottage.